Virgin Australia is in great company. We, along with our Airline Partners have been recognised by AirlineRatings.com as among the very best in the world for 2018. 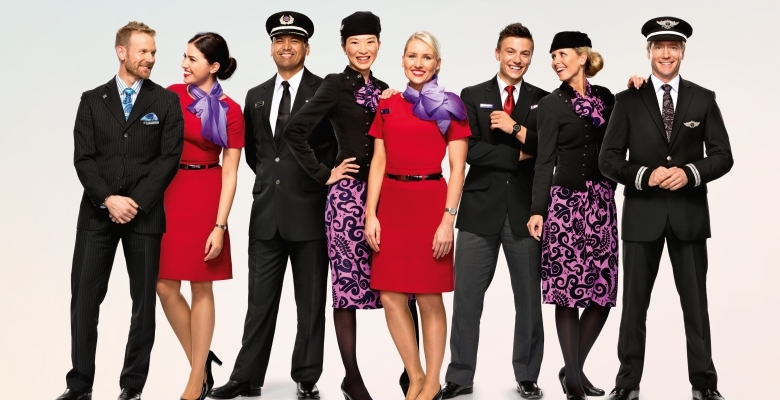 With Virgin Australia, rest assured you're in for a world class experience with our network of globally recognised and awarded airlines. The results are in from AirlineRatings.com for the world’s best carriers, and we are delighted to announce that Virgin Australia, along with its Airline Partners, account for exactly half of the top 10 airlines named for 2018. Virgin Australia was honoured in 4th, moving up the list one spot from 2017. AirlineRatings.com’s editorial team recognised our “superb” business class and international long-haul products while highlighting our cabin crew as “in a class of their own”. As well as listing the Top 10 airlines, AirlineRatings.com selects champion airlines across a number of different categories each year, and we are proud to reveal that Virgin Australia and our partners swept the pool in the premium cabins. Travelling for business in Business Class? 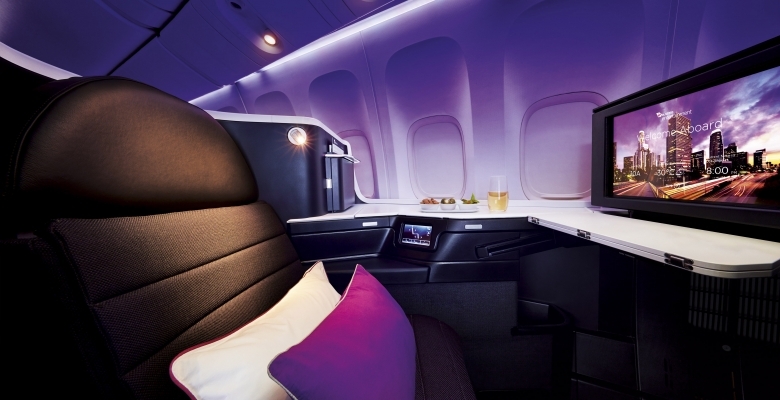 Virgin Australia’s ‘The Business’ was awarded Best Business Class for the second consecutive year, described as “far more first than Business” and “ticks off on key musts - room to work, and a superb bed for sleep. Add excellent service and culinary experience and it is a winner”. Looking to indulge in First Class? Singapore Airlines took out the award for Best First Class with its dazzling new Skyroom Suites on the A380. If you’ve got a penchant for all things presidential, then this might just be the cabin for you – with the suites likened to an office in the sky thanks to their massive swivel armchair. Seeking additional comfort and space? Air New Zealand have completed the hat trick, winning best Premium Economy. Many would agree high standards in service, passenger comfort and in-flight experience are a necessity when travelling international long haul. and, introducing one of our newer partners, Air Canada (The Americas). SO, HOW DO OUR VELOCITY MEMBERS BENEFIT? Our valued Velocity Frequent Flyer members can now enjoy more opportunities than ever to earn Velocity Points both at home and around the world and enjoy fantastic everyday rewards sooner. Velocity members can earn Points and Status Credits when travelling on eligible flights operated by Air New Zealand, Singapore Airlines, Virgin Atlantic and Etihad. Flights with our Airline Partners can also count as Eligible Sectors – so long as Virgin Australia is the Marketing Carrier, meaning our Velocity members can advance their membership tier sooner through our global network. Thanks to our strategic alliances, Velocity members enjoy Lounge Access travelling with Etihad, Air New Zealand, Singapore Airlines and Virgin Atlantic. For full terms and conditions and more information, please visit International Lounge Access. Silver, Gold and Platinum members also enjoy a range of Status Benefits with our International Airline Partners, which may include Priority Check-in, Priority Boarding, Priority baggage and additional baggage allowances. More information here. Velocity Frequent Flyer offers its members unique and innovative ways to earn Points, including transferring Points and earning bonuses to supercharge their Points balance. Whether you earn Krisflyer Miles when you fly with Singapore Airlines and its network, Hilton Honors points on hotel stays, flybuys points when you buy groceries or points when you spend with your credit card, these can all be transferred to Velocity Points. More information here. With the current Velocity Frequent Flyer Points Exchange Expo running until 30 November 2017, there has never been a better time to exchange your points to Velocity Points and receive a 15% bonus Velocity Points on top of the Points you convert. And of course, we can't forget how easy it is to boost your Points and Status Credits with Family Pooling. You can then redeem all these Points for flight upgrades and Reward Seats, hotels, fuel with BP and much, much more. So what are you waiting for? What are you waiting for? Plan your next dream holiday here.